Design da Gema turns tragedy into seating with tremendous narrative quality through the Stray Bullet Chair. 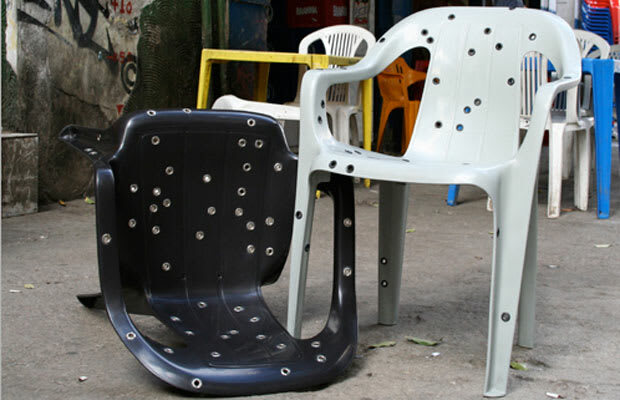 After a shooting at a carioca bar in the Northern Zone of Rio de Janeiro, an injured chair was relocated to the firm&apos;s office. Heralded as a survivor, Design da Gema has made the bullet riddled chair into a luxury item.